The 2019 Farm Fantastic Expo is a big city event, with a strong rural focus. This year’s event will feature over 180 local and national companies displaying all things farming and lifestyle along with a new outdoor adventure feature. Everything from farm machinery, stock handling equipment and animal health, off-road vehicles, ATV’s and quads to caravans, camper trailers, outdoor living, plants and tanks will be on display at Farm Fantastic Expo in 2019. The Moreton Bay Region is one of the fastest developing places in Australia, situated between Brisbane and the Sunshine Coast with a population approaching 500,000. The Moreton Bay Region is comprised of Caboolture, Pine Rivers and Redcliffe districts, making the Caboolture Showgrounds the perfect location for this event. Farm Fantastic Expo is expected to attract in excess of 15,000 visitors over three huge days. 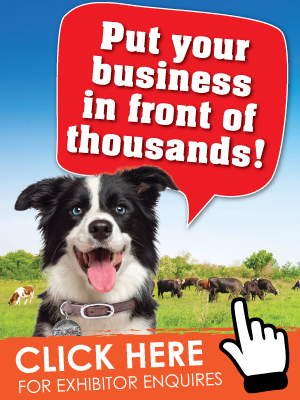 Don’t miss your chance to place your business in front of this targeted audience!